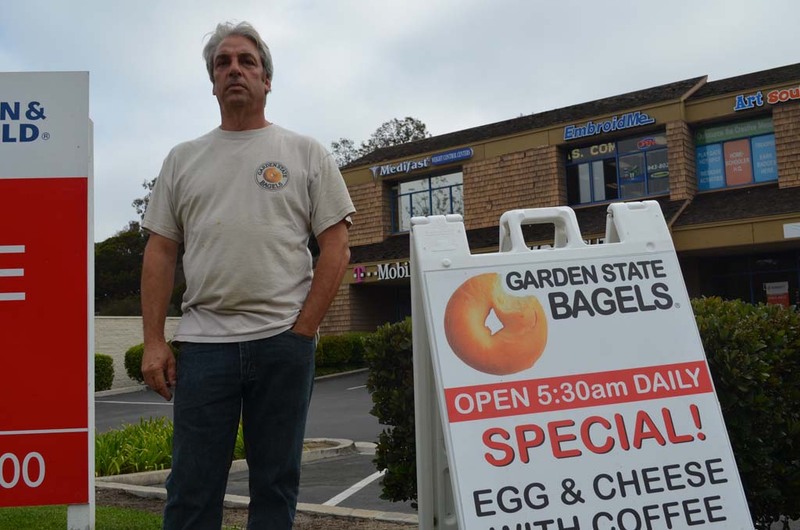 ENCINITAS — Steve Amster, owner of Garden State Bagels, believes the city discriminates when it comes to promotional signs. The city cracks down on signs from small businesses like his, he said. Meanwhile, code enforcement turns a blind eye to illegal signs placed by real estate companies and large retailers. “Why do they get special privileges?” Amster asked. Amster, who was fined for an un-permitted, freestanding A-frame sign in front of his business, took his concern to City Hall last week. After speaking at a City Council meeting, councilmembers agreed to review signage rules at an undetermined date. Kerry Kusiak, a senior planner with the city, noted officials from code enforcement will give councilmembers a general overview of the sign ordinance at a future meeting. From there, councilmembers have the option of asking that specific sign policies be brought back for consideration. Kusiak said the enforcement rules are applied across the board, regardless of the type or size of the business. “Large or small businesses — there’s no difference to us,” Kusiak said. He noted the city has the authority to instantly yank un-permitted signs in the public right of way. But for those signs on private property that need a permit, the city will send warning letters. After that, if the owner doesn’t comply, the city can levy fines of $100 for the first incident, $200 for the second and $500 for the third and any subsequent incidents. Depending on the type of sign or banner, businesses have to go through different application processes. For example, some signs affixed to the ground require that a permit be submitted and they must also go through design review. Kusiak said the city has a complaint-based system for enforcement. Switching to proactive enforcement “hasn’t come up in quite some time,” because “it’s expensive,” Kusiak said. The city currently has two fulltime employees and one part-time employee in charge of not only code enforcement for signs, but also other matters like illegal buildings. 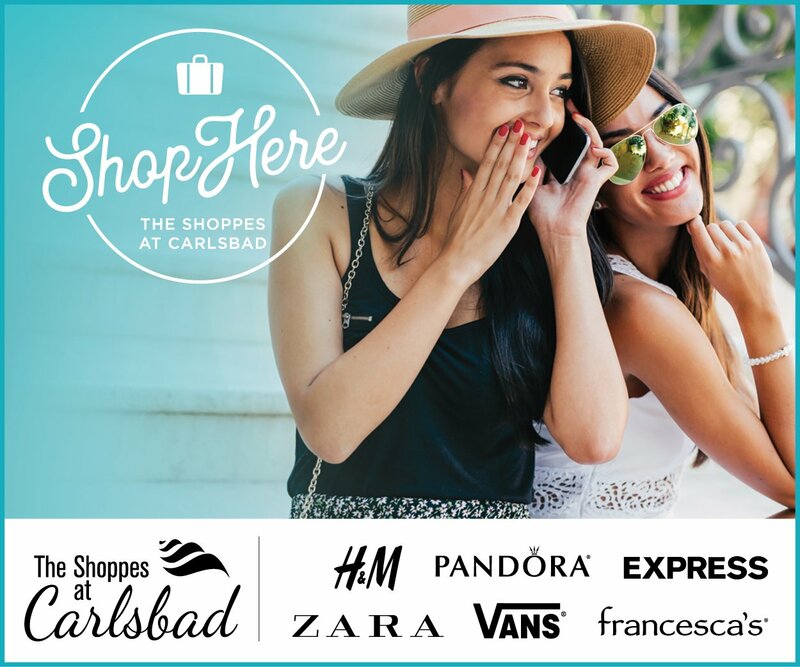 Carlsbad, among other cities, also cites those breaking sign rules after receiving complaints, rather than active enforcement, according to Patricia Crescenti, administration secretary with the city of Carlsbad. “We have the exact same system,” she said. For years, Amster has gazed at the same real estate signs on El Camino Real. He bets many of them don’t have a permit and plans on filing a host of complaints with the city in the coming week. “Commercial real estate signs are all over El Camino Real — many shouldn’t be there,” Amster said. Amster also noted he has noticeably more customers when his signs are out in front of his shop. “The signs mean selling more bagels,” Amster said. For the 2012-13 fiscal year, the city received 88 complaints over illegal signs. In 2011-12 there were 102 and 87 in 2010-11. However, those numbers don’t include complaints filed in response to campaign signs.